Google's Chromebook announcement couldn't have been more timely, for its irony. Yesterday, during Google I/O, the company gave Chrome OS its big official debut and set June 15 as launch date for the first Chromebooks -- from Acer and Samsung. Today, Microsoft antitrust oversight ends -- a decade after an appeals court upheld most of the claims against the company while throwing out a remedy threatening breakup into two entities. Chrome OS and Microsoft's U.S. antitrust problems are strangely linked, as the ghost of Netscape rises from the grave to haunt the company cofounded by Bill Gates. Google couldn't have successfully developed Chrome OS, if not for government oversight. 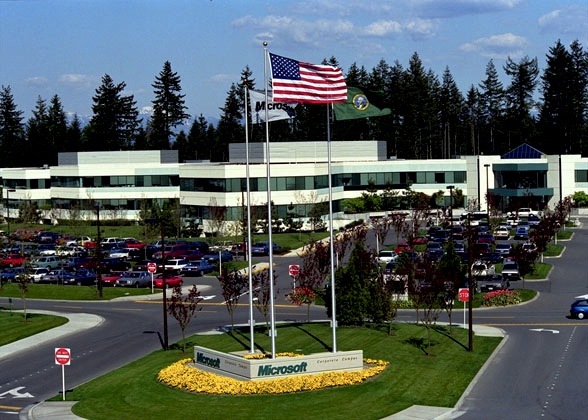 The U.S. Justice Department and 20 states filed their antitrust case against Microsoft on May 18, 1998. The filing followed failed settlement talks stemming from a 1997 trial. The government and Microsoft differently interpreted a 1995 antitrust settlement, regarding integration of additional features into Windows -- namely Internet Explorer. For Microsoft, feature integration was a crucial issue. The company enhanced Windows' appeal to businesses and consumers by adding on more stuff. More immediately, Netscape was working on a strategy that would turn the browser into a rival platform. Developers would create applications for the browser instead of operating systems like Windows. Trustbusters argued that Microsoft's integration of Internet Explorer into Windows and exclusive developer, ISP and OEM agreements violated Section 2 of the 1890 Sherman Antitrust Act. Hence, Microsoft used its monopoly position to crush rival Netscape and to extend that monopoly into the adjacent browser market. Later, as part of the abbreviated remedy proceeding, plaintiffs argued that Office and Windows formed a duopoly that created an "applications barrier to entry." The remedy -- breaking Microsoft into separate applications and operating systems companies -- was intended to break this barrier and open freer competition; so plaintiffs claimed and U.S. District Judge Thome Penfield Jackson agreed. He issued the break-up remedy in early May 2000. Microsoft won the browser wars, but lost the case. Netscape was vanquished, and with it the immediate threat of a browser-based platform. In April 2001, the D.C. Court of Appeals upheld most of the claims against Microsoft but threw out the remedy for procedural errors and removed Judge Jackson for talking to reporters behind closed doors during the trial. A new judge and September 11, 2001 terrorist attacks against the United States precipitated a settlement with the Justice Department and some states nearly two months later. Following a remedy hearing the following Spring, U.S. District Judge Colleen Kollar-Kotelly made the settlement, largely unchanged, her final judgement. Plaintiffs' overall assessment is that the documents are of sufficient completeness and quality such that the Communications Protocols, as defined in the Final Judgments, are available for use by third parties within the meaning of Section III.E. Accordingly, Plaintiffs believe is it appropriate to allow the Final Judgments to expire on May 12, 2011. The four extra years oversight proved hugely beneficial to Google. Earlier today, my colleague Larry Seltzer called the Microsoft antitrust case a "farce." He asks: "Can anyone reasonably say that this case made any meaningful difference to the technology business?" To which he basically answers no. I heartedly disagree. Government oversight of a chastened Microsoft allowed Google do what Netscape couldn't: successfully develop and launch a browser-based platform to rival Windows. Whether or not Chrome OS can succeed is a matter of fierce debate among Betanews readers. But it's coming out commercially next month, and the U.S. antitrust case cleared the way. Google used Microsoft's oversight as a club. In June 2007, the search and information giant filed court papers requesting an extension. Otherwise, government oversight would have ended in November of that year (Google's filing was but part of a larger decision-making process leading to the extension). This wasn't Google's first filing. For example, weeks earlier Google complained about search in Windows Vista, which hadn't yet shipped. Microsoft later changed Vista search in response to the complaint. Google made good use of Microsoft's oversight extension. After just a few months in beta, Google officially released its first web browser, Chrome, in December 2008. Yesterday, Google revealed 160 million users, more than double the number a year ago. In early March, Google launched Chrome 10, and version 12 is already in beta. Internet Explorer 9 released shortly after Chrome 10. At the end of April, Chrome 10 had more than double IE9 usage share on Windows 7, according to NetApplications. How times have changed. Google's ambitions didn't stop with a stand-alone browser. There also is the aforementioned Chrome OS -- essentially a cloud-connected, browser-based Linux hybrid. During Chrome OS development, Google launched the Chrome Web Store, in May 2010, supporting the stand-alone browser and operating system. Applications run in the browser, and there are a surprising number. Yesterday, the hugely popular game Angry Birds joined the "19,000 other items in the Chrome Web Store." Chrome OS reached its major development milestone in December 2010, with the Cr-48 laptop pilot program. Google received 1 million applications, and 50,000 businesses also applied. Seven months later the first Chromebooks running Chrome OS will ship. But whether the browser or operating system, Google has created the rival platform Netscape product managers envisioned 15 years ago. If there is remedy for Microsoft's monopoly abuse (as the courts ruled), Chrome OS may be it. In June 2007, I wrote "Why Google Succeeds" -- in parts one and two -- for Microsoft Watch; the content remains hugely relevant fours years later. "Unchecked, Google is on course to be the next hugely successful computing platform," I wrote. Netscape wasn't really Microsoft's competitive problem in the late 1990s but the web itself. Already, by the mid Noughties many developers had made the web priority over Windows. Where do you think cloud computing comes from? "Developer interest in the Web platform -- and the promise of information access anytime, anywhere and on anything -- shifts standards away from Microsoft's dominant platforms," I explained four years ago. Google rode the web platform's coattails, pushing adopted or open standards along the way. Some context: Google is to Microsoft in the 2000s what Microsoft was to IBM in the 1980 and `90s. When Microsoft licensed DOS to IBM and set off the PC revolution, it could compete more nimbly. IBM was more cautious, slower to make big decisions for fear of losing customers or destabilizing its massive infrastructure. Microsoft had only customers to gain, and they would eventually come from mainframe makers. Something else: Gates understood the importance of platforms, enabling developers to write to them and controlling the standards they use. Three decades later, Microsoft controls the dominant platform much the way IBM once did. Now it's Microsoft with huge infrastructure and customers. But the company has been doubly risk adverse competing with Google and other cloud/web applications developers: Fear of disrupting existing revenue streams/losing existing customers and the constraints placed by government oversight. Meanwhile, Google is a younger company, with less infrastructure and customers, and less to lose. After sustaining on search, advertising and keywords, Google is looking ahead, by taking a platform approach to the web. Where will its customers come from? Microsoft. In the 1980s, Microsoft, along with OEM partners like Compaq, gained customers from IBM by making computing cheaper and available to more people. Microsoft ended the era when only large companies paying millions of dollars could afford computers. Google challenges Microsoft in a similar way, by reducing the costs -- sometimes to nothing -- against established PC software/services such as Office or Outlook/Exchange Server. Meanwhile computing and informational benefits are available to more people and on more devices. During the PC era, Microsoft maintained Windows' dominance through a number of means, including distribution, standards and contractual commitments. The company also used integration -- the very thing that set off the U.S. antitrust case -- as means of preserving Windows utility/relevance and to beat back competitors. Microsoft would take a technology a competitor spent millions to develop and integrate it into Windows, essentially giving it away for free. Google is doing something similar to Microsoft, by offering products/services for nominal fees or no cost that Microsoft charges heaps of money for. Enter Chrome or Chrome OS as platform for web apps connected to Google cloud product/services like Apps, Calendar and Gmail. Yesterday, I explained from a software licensing perspective how cloud-connected Chromebook poses a serious enterprise threat to Microsoft cash cows Office and Windows -- the aforementioned duopoly. It's not about how much Google earns but how much Microsoft loses. Paul DeGroot, Pica Communications principal consultant, sees Microsoft easily losing $1 billion in licensing revenue; Chromebook "could accelerate movement to Google apps." He adds: "The arena on which a lot of this is fought is Wall Street, where single percentages can really add up come quarterly report time...they would notice $1 billion a year missing from Microsoft's numbers." Future Google-Microsoft competition will determine whether or not Chrome or Chrome OS will have such impact. Regardless, Microsoft antitrust oversight cleared way for Google to do what Netscape couldn't: Build a browser-based platform independent of Windows.